American Chopper Is Finally Back With A Brand New Trailer! Everyone is expecting, or at least hoping, for something to happen in the near future, especially when it comes to cars and bikes. Hereby, one of our expectations has come to an end and it is finally here. 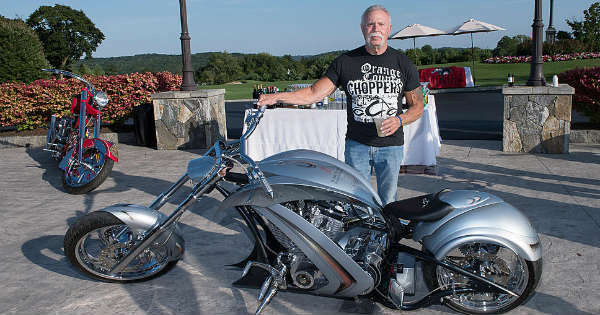 Do you remember the good old days spent by watching American Chopper all of the time? We are sure you do but over 5 years ago something horrible happened. The hit reality show was forced to be cancelled, leaving millions of fans worldwide in disbelief. Everyone was looking for answers about why it had happened, and there were even more rumors about it. However, just recently Paul Teutul Jr. explained that we just might be witnessing an American Chopper comeback. And guess what? It had just happened, over five years later. Discovery Channel has just released the brand new trailer and it looks incredibly awesome! We will once again have the chance to watch the legendary family as it tackles down every obstacle that it might come across. We all remember their awesome bike designs, designs unlike any other before them. This was exactly what and how the show managed to become successful, along with the many fights during the filming of each episode. Even though Junior and Senior have even gone on court, everything seems to be just fine now. They have just recently begun resolving their relationship, leaving many American Chopper fans in amazement. What is a must for you is to take a look at their brand new trailer that reveals some of the content of the show. It is guaranteed to offer more fun, more excitement and surely more awesome bike designs! We simply cannot expect less from this family. What a great news this is! Finally, make sure to follow this link and take a look at the reason why the show came to an end!